Interview essay example is considered to be a type of a formal conversation meant to gather particular information. A set of specific questions is to be established in order to investigate the views of the respondent regarding a particular topic. These questions might be related to the political or religious views, personal life, and professional activity of the respondent. The interviews are generally conducted in an attempt to expose the views of famous people that might impact the views of the masses. 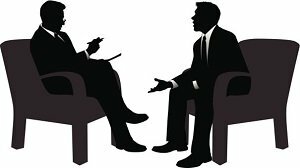 The written interviews might be descriptive in order to portray the mimics, tone, and movements of the respondent. Such descriptions provide the readers with the opportunity to imagine the entire picture of the interview. This interview essay example is meant to represent the possible answers famous musician James Alan Hetfield could have given during the potential interview. Interviewer: Good morning, Mr. Hetfield. It is an honor to me to interview you. Hetfield: Hi there! Call me James, please (they both sit down). Interviewer: OK, James, the whole world knows you for being a lead vocalist, lead guitarist, and the co-founder of the famous band called Metallica. You have millions of fans from all across the globe and your band is considered one of the most financially successful heavy metal music projects ever created; so that I would like to ask you: how does being James Hetfield feel? Hetfield (smiles): It’s kind of hard to be me since I have got lots of things to do; I have certain duties and schedules. Nowadays, when Metallica and James Hetfield are both real brand names I am always bothered by different people that want me to participate in their advertising campaigns and so on. That is why being me is not an easy deal yet it feels great. Interviewer: Was it easier when you were at the beginning of your path? Hetfield: Surely, it was! We were all young back in the 80s and there was nothing we could not afford. We were drinking alcohol, we were all substance abused; the whole life was like an endless carnival of women, music, vodka, and stuff. We were not thinking about future. Interviewer: Have you ever thought that it would be great to come back to those old good times? Hetfield: I knew a lot of nice guys who ended their life in misery because of living on the edge. I have lost one of my best friends because of drugs. I just want to say that I am glad I have had such an experience with all that substances yet I do not want to get back to that again. Interviewer: Do you encourage your children to become musicians? Hetfield: I encourage them to enhance themselves in whatever they do. I would like my kids to become the best professionals at any sphere they would ever want to master their skills. I am certain that my children are gifted kids and that they are able to become great musicians, painters, engineers, or physicians. Thus, I support them whatever they do. Interviewer: Thank you, James. That is all for today. Again, it was a great pleasure and a great honor to have an interview with you. Hetfield: You are welcome! See you.